This Personalized Book is the perfect personalized gift! 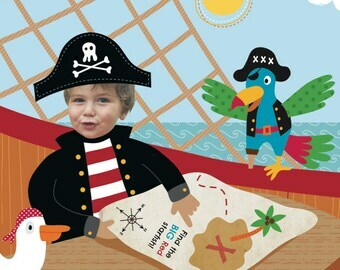 The Pirate themed book is a great quiet book gift for any little one. 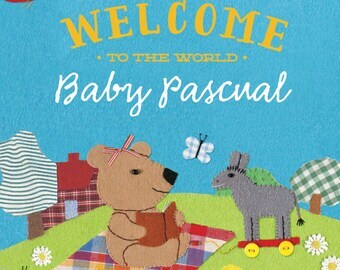 Our personalized story will make your kid feel special and unique. 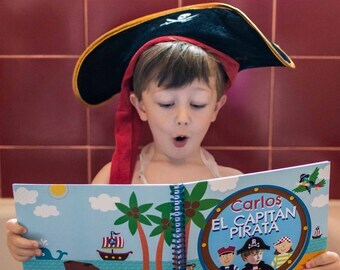 Will also help him get interested in reading his own story and would love to share his own book with family and friends. 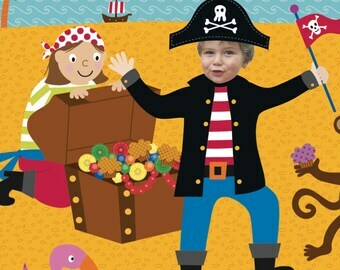 The Captain Pirate also includes an original cupcake recipe personalized with your child's picture! 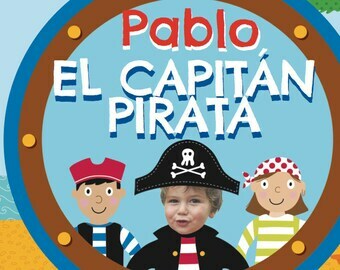 The Pirate Captain tells the exciting tale of a boy who travels to a magical island and searches for hidden treasure. 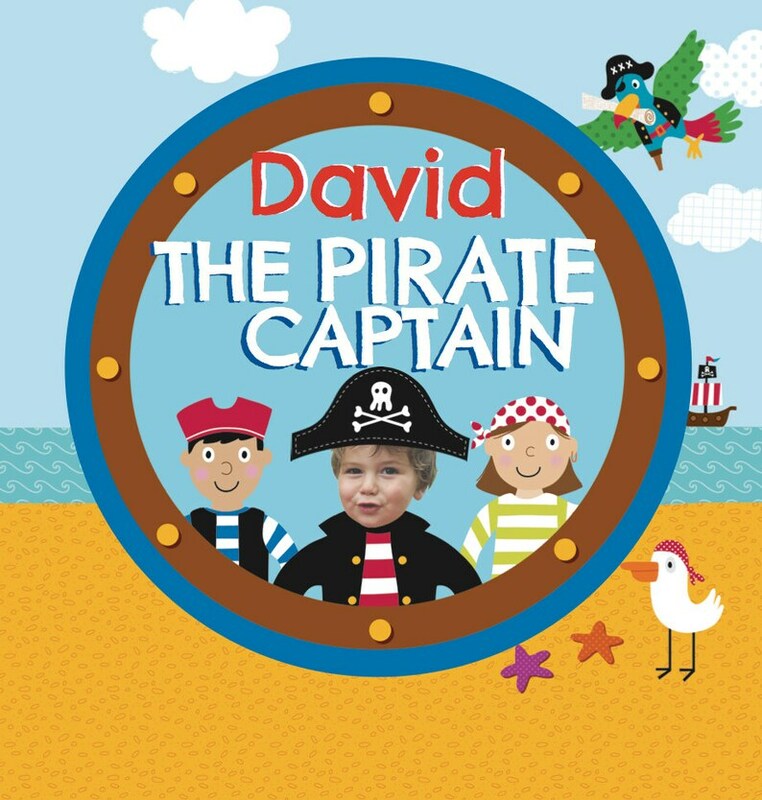 On his journey, he must elude hungry sea monsters, solve a monkey’s riddle, navigate a twisting waterfall, trick a bear, and conquer other challenges, too. He leads a crew of friends and his loyal parrot, Pepe. Along the way, the brave boy learns the value of teamwork , kindness and how the adventure itself is worth more than the treasure he seeks. 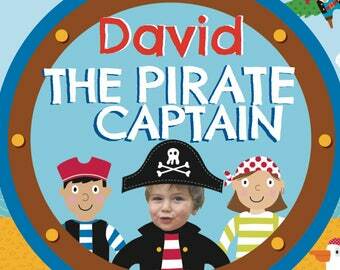 The story taps into a child’s greatest strength – imagination! 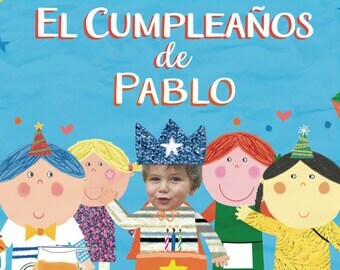 In this personalized book, your boy is the hero of a fabulous adventure with his friends! Written by Richard Seven and illustrated by Nina Seven, this tale is perfect for children under the age of 8. The girls version of this story is available in our shop! This hardcover book is 8 x 8 in size and 26 pages long. 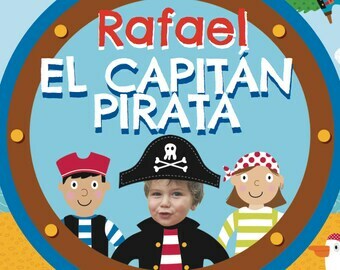 Available in English or Spanish, this book is a great way to help strengthen a child's reading skills or even help them start learning a second language. After you make a purchase, we'll will send you details on the information that we will need, like book language, your child's name, photo and dedication, to create your book. Once we receive your information and photograph we will get to work! Please see our policies page for more details. "Fabuloos Dreams’ books are a wonderful keepsake. We liked the book very much: the pictures and the colors. A fantastic gift full of joy and imagination." -Anne V.
In addition to paying with a registered PayPal account, you can also use any major credit card to pay through PayPal without needing to register. In either case, PayPal will keep your information secure and send a confirmation email once your payment is complete. While we truly value each and every customer, since we sell custom products, we don't offer a general refund or exchange policy. However, if WE make a mistake that messes up your book or causes damage to it, we can provide a reprint or refund. If this happens, just be sure to get in touch with us within five days of receiving your book! Your order will be shipped from SPAIN. Although we can't control exactly when your order arrives, barring an unforeseen delay, our estimates are generally very close. Our standard shipping time for a personalized book is 2 weeks. Please convo me if you would like to upgrade to fast shipping. If this period passes and you still don't receive your shipment, be sure to email us at contact [!at] fabuloosdreams.com so we can promptly file a claim with the carrier. It will take an estimated 5 working days to create your book and get it in the mail to you once we receive your payment, information and images. Don't worry though, we will contact you via etsy or email to let you know how the order is going. If there are any errors or discrepancies in regard to the price, delivery or payment method, please let us know immediately here on etsy or via email at contact@fabuloosdreams.com. I bought a book! What are the next steps? After you make a purchase, we'll will send you details on the information that we will need to create your book within 1-2 business days. Once we receive your information and photograph we will get to work! What kind of Photographs can you use? Technical: Choose a high resolution picture that's in the JPG file format and at least 1MB in size. Do: Select a picture where the child was looking directly at the camera and has great lighting on their face. Don't: Opt for a picture where the child has any of the following - sunglasses, hats, hoods or hair covering eyes. Opps, I goofed. Can I make a change? Maybe, but you will have to contact us immediately to let us know. Depending on where we are in production we may be able to fix it, but if your book has gone to print there isn't much that we can do. Since Fabuloos Dreams was founded by a mom with two kids under the age of 12, we take data protection and privacy very seriously. After you submit any information or photographs to us, we will never reuse your child's personal information under any circumstance. You can be confident that your data is safe with us! If you have any questions prior to or after placing an order, don't hesitate to get in touch with us. You can send a message through Etsy, c or email us at contact@fabuloosdreams.com. We respond to all communications within 24hours. Fabuloos Dreams retains all rights to the designs, stories and illustrations of the books we create. No element of our designs can be reproduced without prior approval.